Jordan Henderson feels the 'pressure' of being involved in the Premier League title race can be used as a positive for Liverpool. The Reds return to action when Burnley visit Anfield this afternoon – and they’ll be aiming to bounce back to winning ways following last weekend’s goalless draw at Goodison Park with Everton. 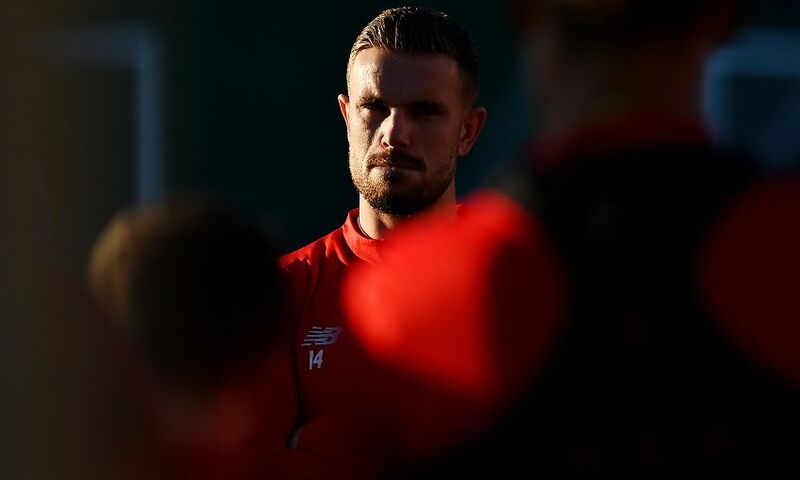 And Henderson believes the squad enjoy the challenge of trying to meet the expectations that have been placed upon them this season as they chase success in the Premier League and Champions League. He wrote in his column for the official matchday programme: “It has been quite telling that in our last two away matches we’ve left the pitch on an opponents’ home turf, having restricted them to barely any chances and no goals, and yet they’ve been delighted with the result at full-time. “To be quite clear, when you play for Liverpool a draw, even away from home against really tough opposition, isn’t an ambition. We play to win at all times and we expect of ourselves to win. “However, that sort of reaction does demonstrate where we currently are as a team and as a club – back among the very elite. “It’s true that the bar at Liverpool is higher than at most other clubs in the world. That’s the way it is, but we all embrace it. The players love it, we love how much it matters. “Let’s put it this way: does anyone think we’d want it any other way than going toe-for-toe in the title race at this stage of the season and still with it all to play for in the Champions League? That’s what as players we all strive for – it’s something every footballer wants to be involved in. “It feels like the word ‘pressure’ has been everywhere since August, but I really can’t get my head around the idea of pressure being a negative. I think back to the 2013-14 season when we were competing at the top of the table come the business end of the campaign. I think back to last season’s Champions League campaign and going to really difficult places with advantages from the first leg to defend. I never found the pressure of any of that negative – the opposite, in fact. “There’s too much focus on ‘pressure’ being a negative in sport. There’ll be people in this stadium today – many people – who know what real pressure is in their lives. Our team bus drives past the foodbank collection point on our way to Anfield for home games. That’s real pressure.